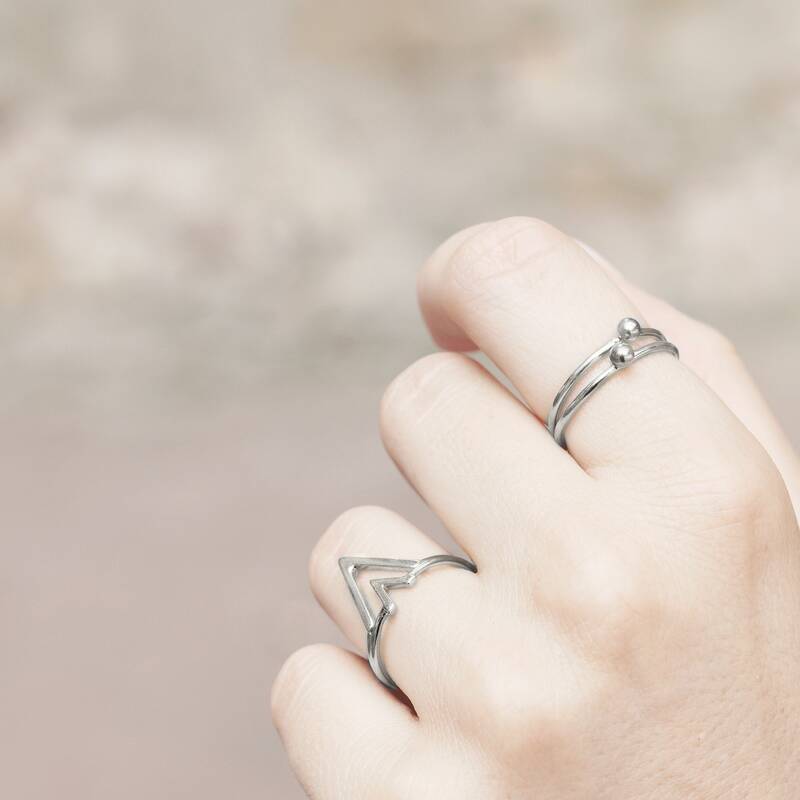 SET OF 2 V RINGS. 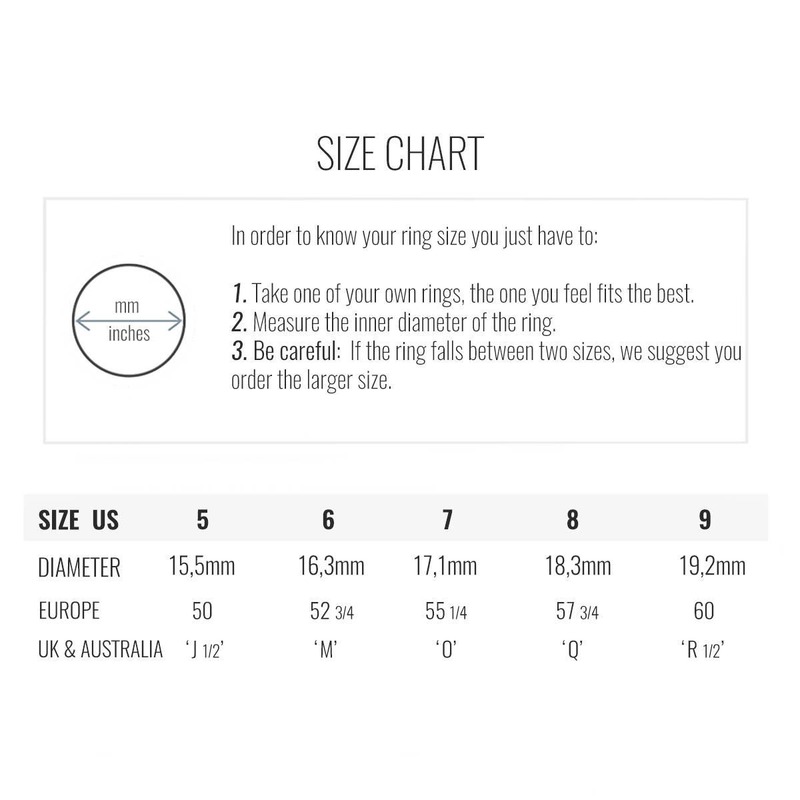 18 carat, 1 micron gold plated on 925 sterling silver V rings. 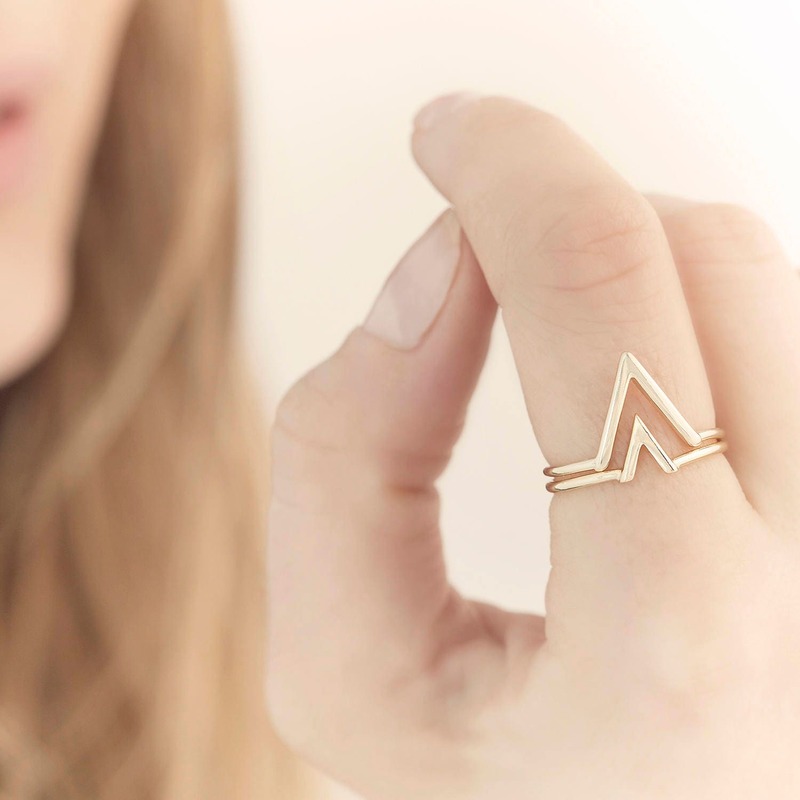 ** V shaped ring ** (bigger). 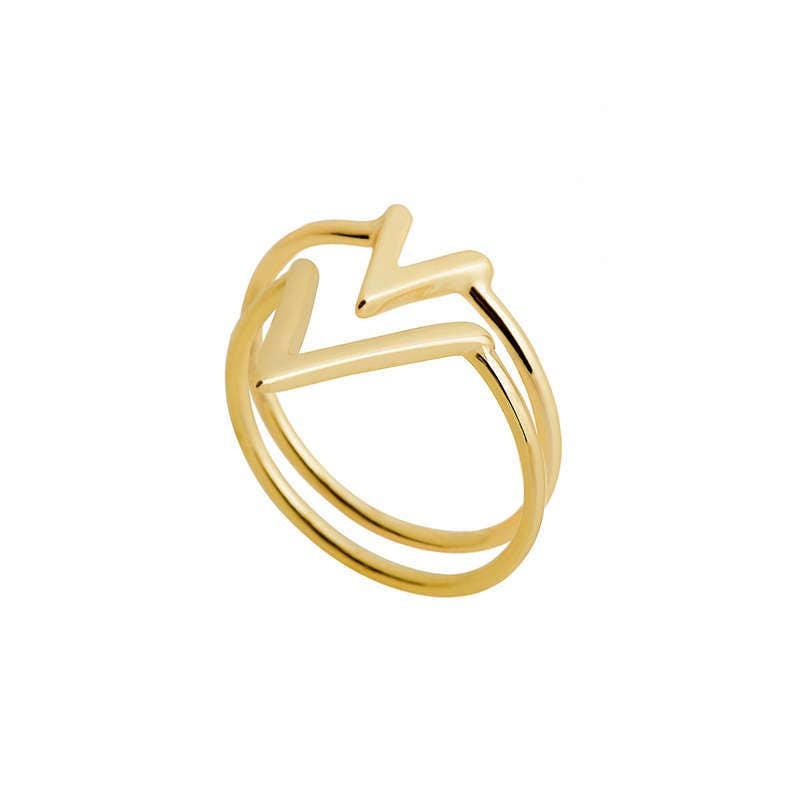 ** V shaped ring ** (smaller). 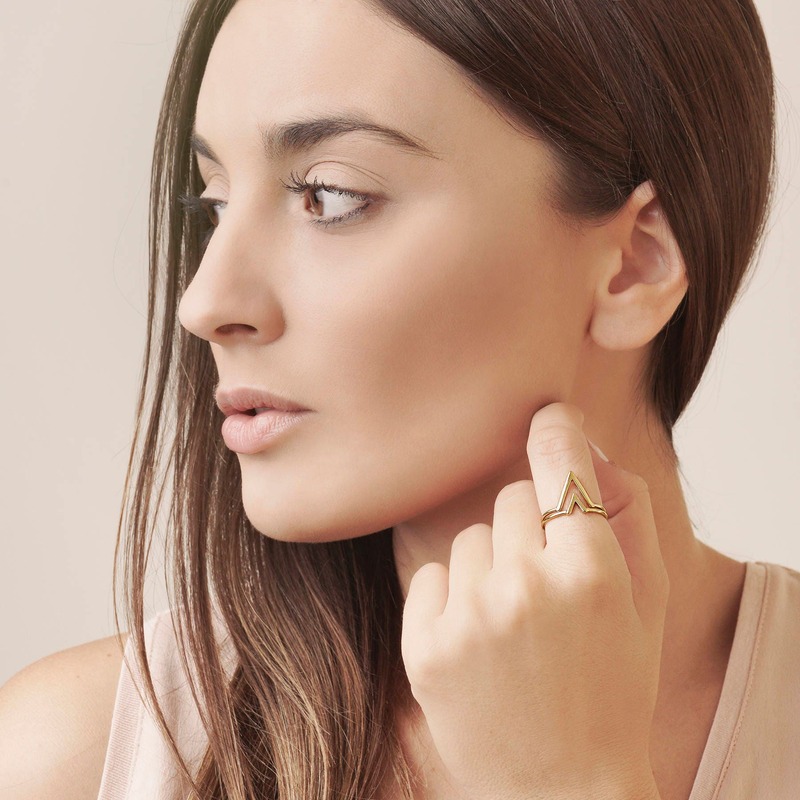 Its V shape suggests an open triangle which symbolizes feminine power and strength. A must-have in your jewelry box. The rings look so nice together. They're shiny and beautiful!